We know how harsh Michigan winters can get. That’s why we all need to ensure that we have a sturdy, dependable, and efficient heating system. And that’s where expert furnace installations come in. Service Professor is a leading furnace installation company in West Michigan serving Grand Rapids and surrounding cities. We are the first port of call for residents that want installation service that they can count on and which they know will stand the test of time. If you too want furnace installation that keeps your home warm and that comes with a satisfaction guarantee, then call Service Professor at 616-871-1900616-871-1900 for your professional furnace installation service. Gas and electric furnaces are the whole house solutions you need to keep you your home warm and comfortable. And we are the team to get it done for you. Whether you need a new furnace installed or looking to replace an old one, we are the furnace experts to get the job done. Gas furnaces are ideal if you have access to natural gas. They are the most popular forced-air heating systems for Michigan residents who want an affordable, energy efficient heating system. Electric furnaces are best for residents who do not have access to natural gas as a fuel source to heat their homes. With an electric furnace, installation costs are generally lower than a gas furnace. The only drawback is that it may be slightly more expensive to operate. But no matter the type of furnace you choose, our HVAC experts will help you identify and install a high-efficiency heating system for you. Whatever the heating system you decide on, our technicians can install it. We work with the top brands on the market so that our customers can have the pick of their preferred brands. If you are unsure which furnace option would be best for, then we can help you determine the right gas or electric furnace to heat your home. Working with Service Professor technicians, you ensure that you will get the right sized furnace for your building. If your furnace is too small or too large, it will fail to keep the proper temperature to warm your space. You can also end up paying excess in operational costs. If the unit is too small, you may reduce its expected lifespan as it will have to work harder to heat the required space. Service Professor heating technicians will make sure that your furnace is the right size for your needs. They will do careful calculations of your load requirements to size your system properly. That’s one of the major benefits of working with a qualified HVAC company licensed to operate in Michigan. Plus, our professional furnace installers in Grand Rapids go above and beyond what is needed to ensure that your furnace is installed to required regulations and meets all your comfort needs. If you check the reviews of our satisfied HVAC customers, you can see that our HVAC technicians deliver exceptional quality work. Working with a licensed, insured full-service HVAC company that can handle all aspects of your heating needs. 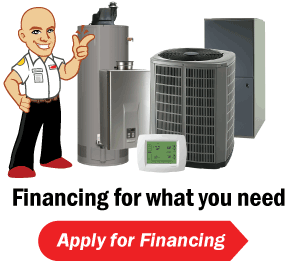 Call your heating professionals at 616-871-1900616-871-1900 for all your furnace needs in West Michigan. We will ensure that you are comfortable in your home all season long.